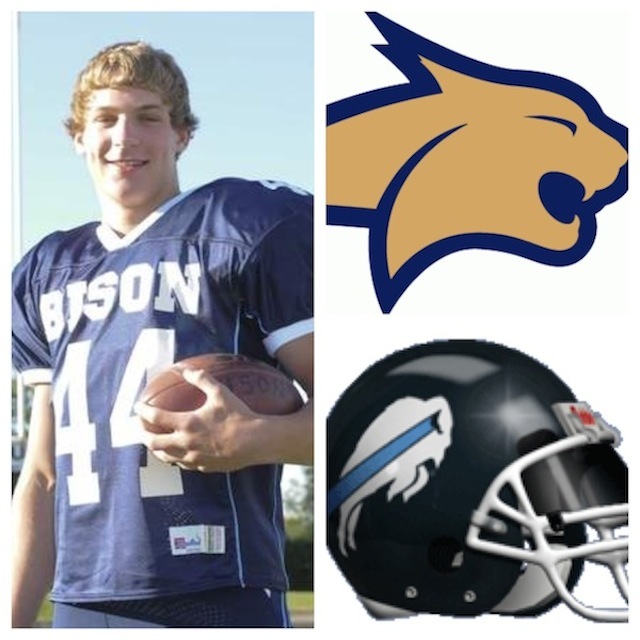 Great Falls High senior linebacker Trevan Timmer verbally committed Sunday to join the Montana State Bobcats next fall. The 6-foot-3, 215-pound Timmer held two full scholarship offers: Montana State and Montana. Timmer, 17, will follow in the majority of his family’s footsteps that led to Bozeman. His dad, Kirk, played for the 1984 national championship football team and his mom, Kelly, played basketball. Timmer said he’s looking forward to playing for Montana State head coach Rob Ash. “I think Coach Ash has the program headed in the right direction,” he said. The youngest of three boys, Timmer will join his middle brother, Trace, a redshirt freshman safety for the Bobcats. The oldest brother, Ty, played for the Montana Grizzlies the last few seasons, but gave up football this spring due to knee problems. Timmer said he is eager to have the decision off his shoulders and ready to focus on getting the Bison, who finished 3-7 last year, back in the playoff hunt. GFH opens the season at home Friday at 7:30 against Billings West inside Memorial Stadium. So, who’s going to win the Cat-Griz game this year? “I’m going to have to go with the Cats,” Timmer said, cheerfully.